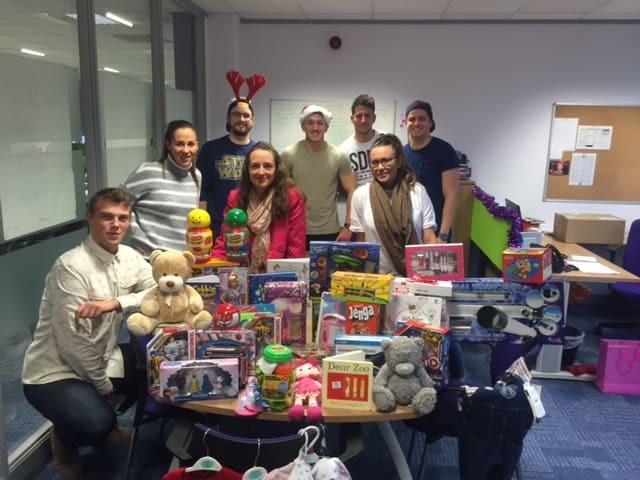 The Leeds Office of Fuel Card Services have arranged to collect toys for the Mission Christmas Appeal for under privileged children in the Leeds area organised by the local Radio station, Radio Aire. Thanks to the team at Fuel Card Services who donated new and unwrapped gifts suitable for children and young people aged 0-18, which will be distributed across the region. Merry Christmas and all the very best for 2016 ! !